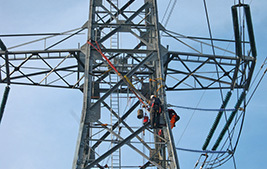 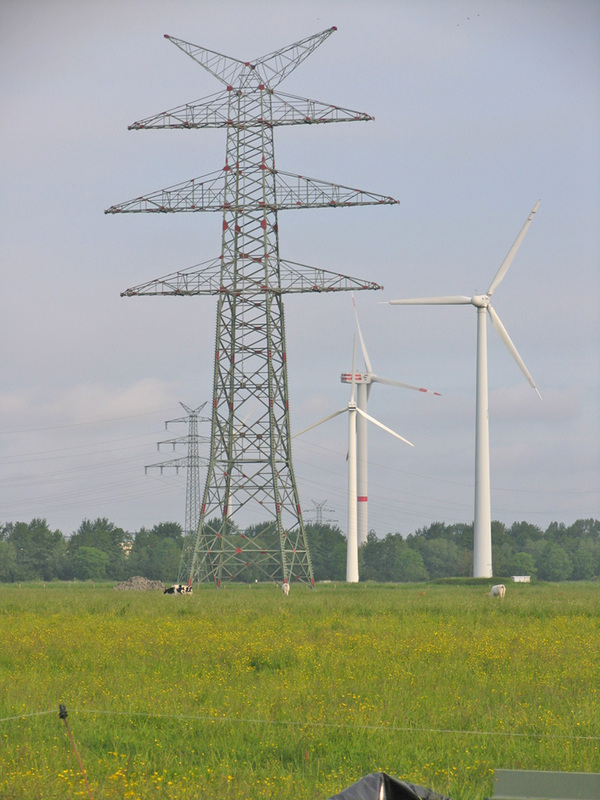 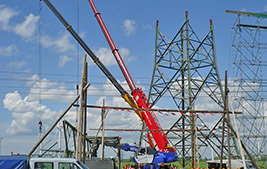 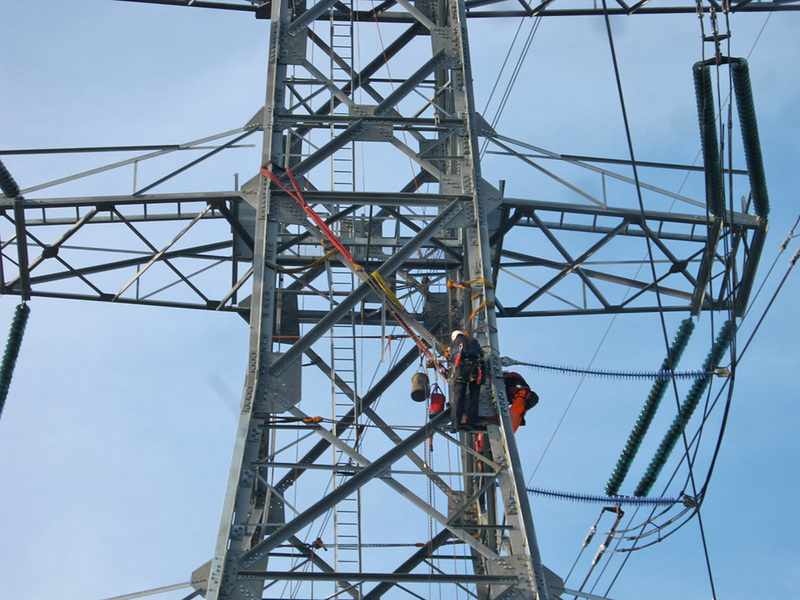 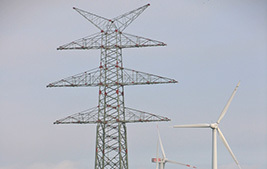 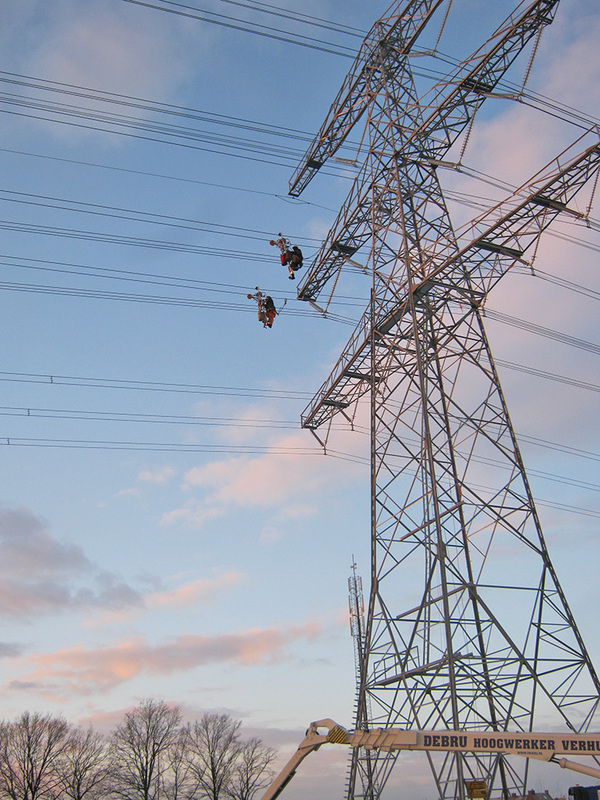 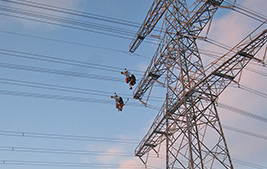 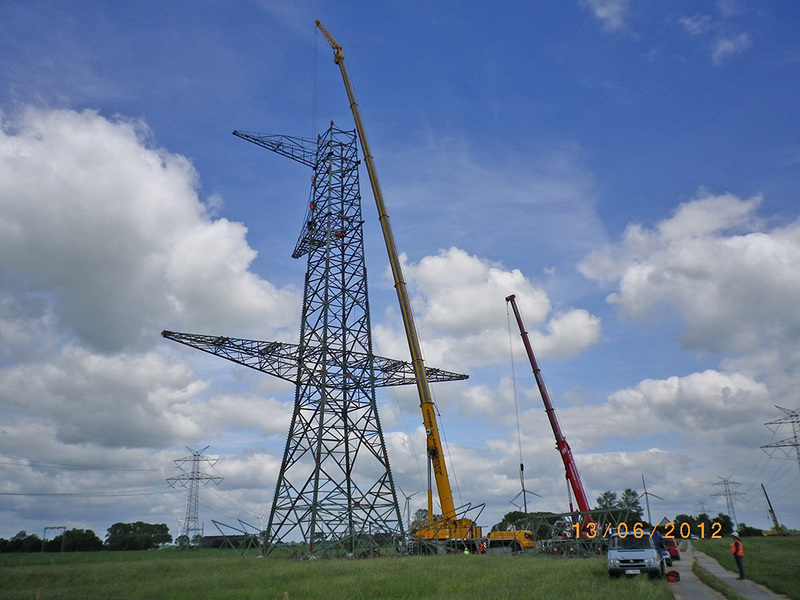 Construction of new high-voltage 380 kV line for TenneT on behalf of LTB Leitungsbau GmbH. 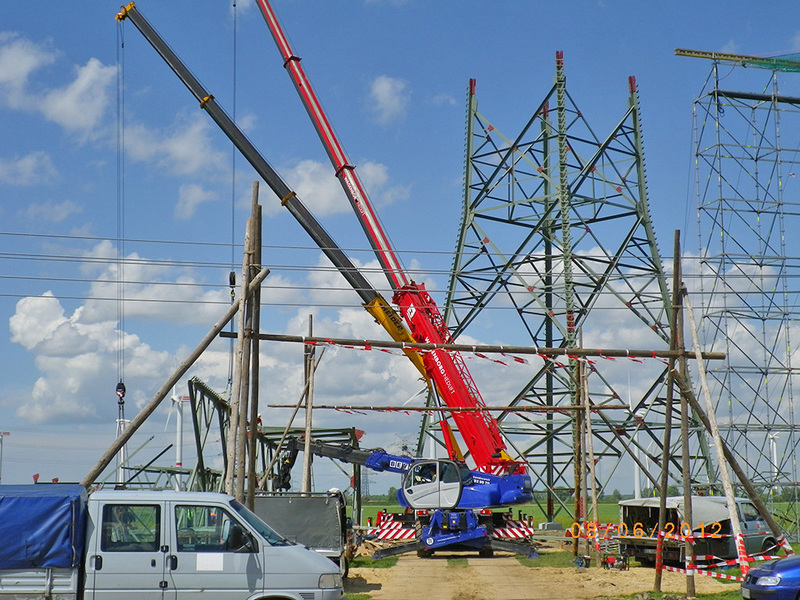 Unicorn was responsible for removal, assemble and erection of five pillars with a total weight of 500 tons in the period from 16.04.2012 to 05.07.2012. 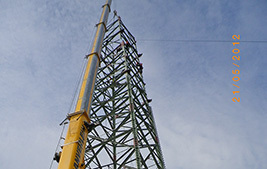 The largest weighed 173 tonnes tower and had a height of 76 meters. 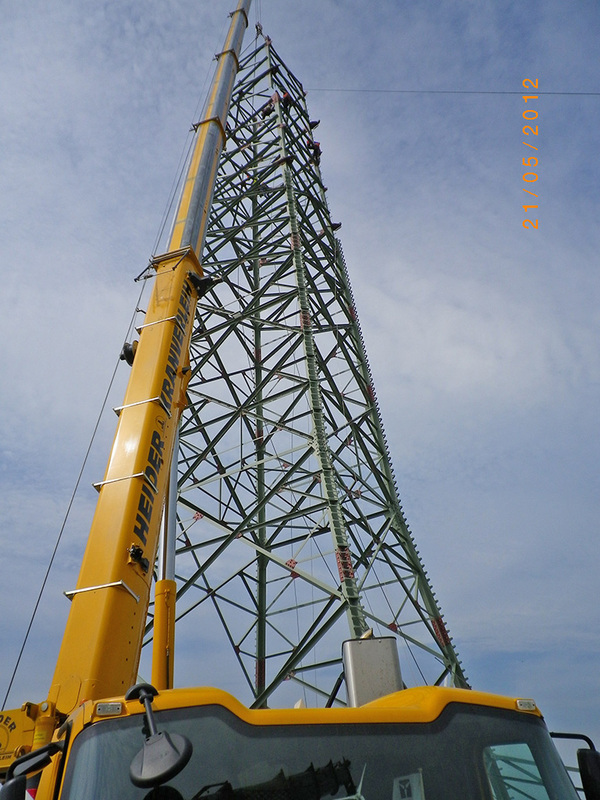 It is one of the largest and heaviest construction assembled by Unicorn. 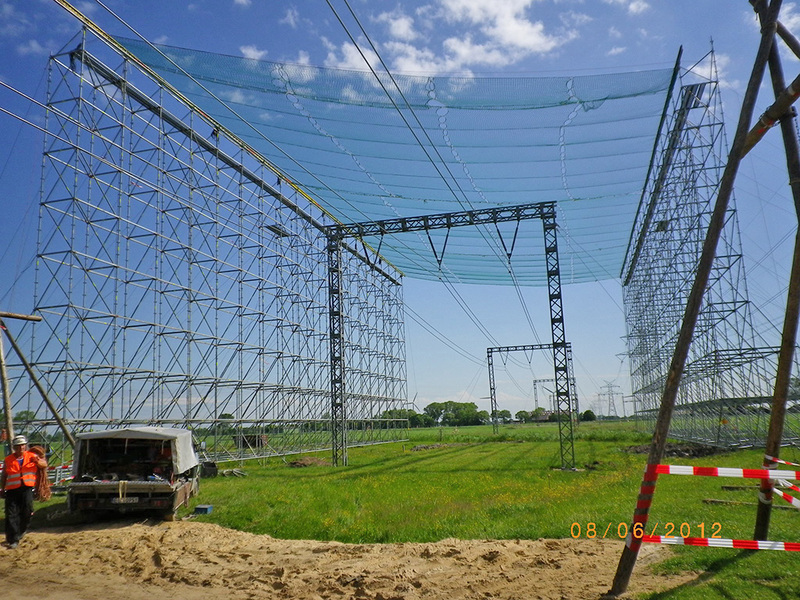 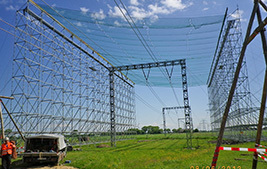 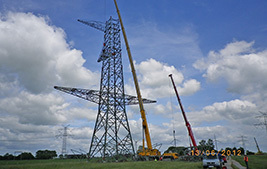 Erecting took place in difficult weather conditions - strong wind, using a 350 tonnes crane.